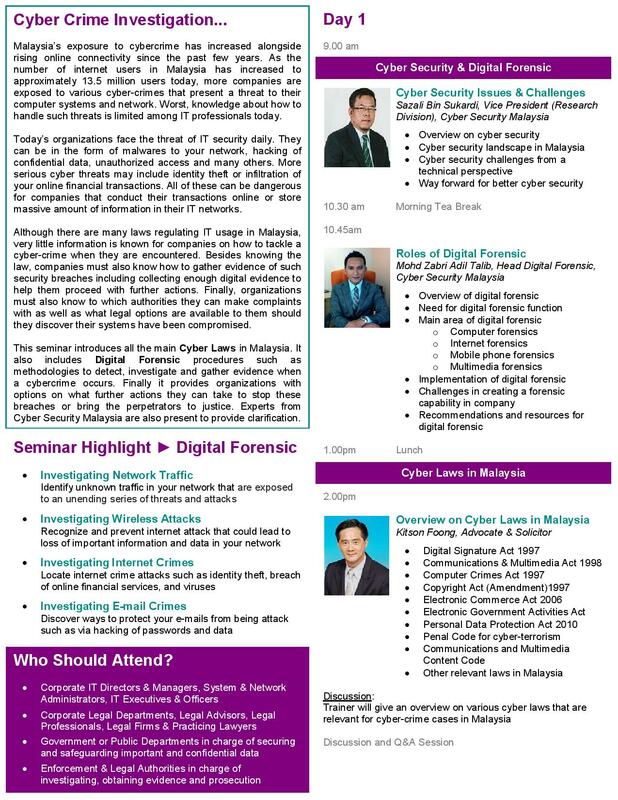 I will be speaking at at ASEAN IT Security Conference 2016 on the topic “Dealing with Computer Crimes Within the Organisation: A Case Study on Computer Crimes Act 1997“. Cyber security is headline news almost constantly because hacks, data theft and high profile breaches are now a part of daily life and almost impossible to avoid. In 2016, a number of new laws will be enacted in the US, Europe and Asia that all have important, and potentially financially punitive, ramifications for Asian-based organizations. 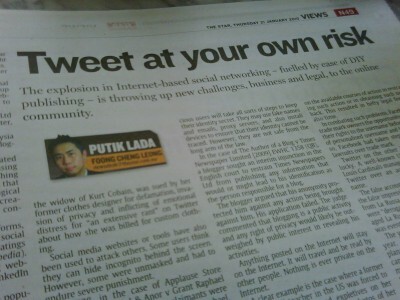 However the C-Suite are not fully conversant with correct strategy by which cyber security investments should be made. This is not a business ROI that can be expected. Cyber-warfare and cyber security investments are akin to military spending. We have to do in the hope that we never use the tools. This is anathema to many business investments, however the consequences of not taking this approach could lead to legal disputes, customer dissatisfaction, and even loss of jobs and careers at all levels in the organization. 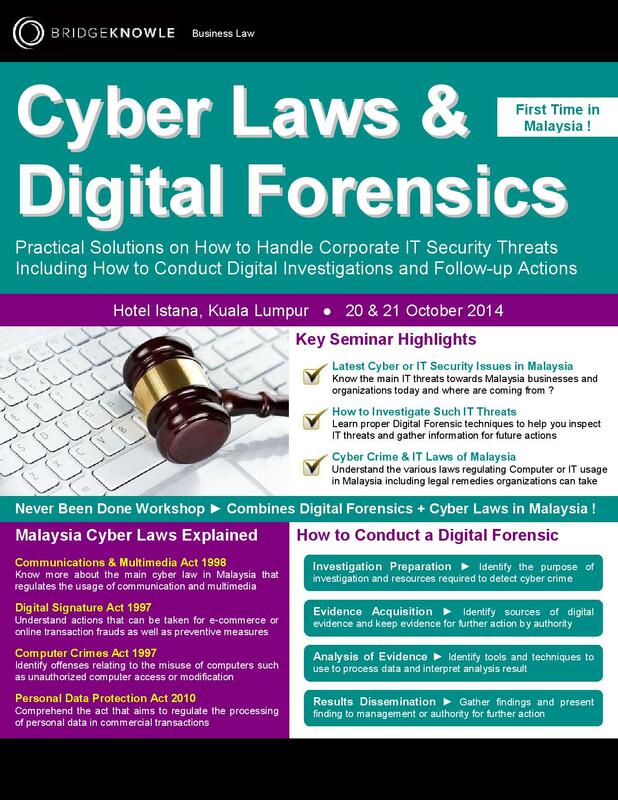 At this conference series, IDC and its partners will share some of the new people, process and technology strategies that the C-Suite should consider to be better prepared for future incidents, and whilst absolute security cannot be guaranteed, making your organization a hard target to breach may well be the solution for the future. Based on the IDC IT Security MaturityScape, IDC will share how some of the best-in-class organizations globally think about managing their IT Security teams, from board-level reporting to IT operational management. This holistic view will help the C-Suite, and those that report in to the C-Suite to more eloquently articulate the issues, challenges and requirements that will be critical to ensure that future attack surface is minimized, and suitable crisis management plans and responses are in place. Attend this event to learn more about how to deflect the latest attacks and what more you can do to deliver a more secure environment to your business. Head, Regional IT – Asia, PETRONAS Lubricants International Sdn. Bhd.